Terry Jess “Cookie” Cook, 73, of Steubenville died peacefully at Valley Hospice on Tuesday, September 4, 2018. He was born in Steubenville on April 21, 1945, the son of the late Jess Ambrose and Clara Wright Cook. Also preceded in death by six brothers, James “Jimmy,” Jerry, John “Jack,” Charles “Pete” Sr., Charles “Chuckie” Cook Jr. and a sister Betty Young. 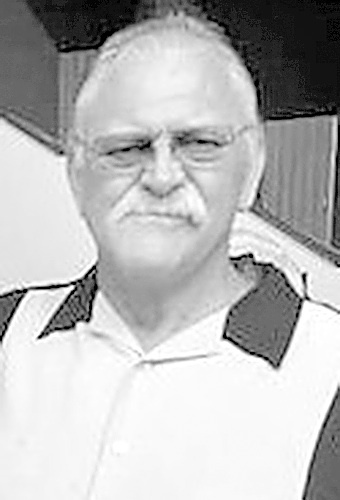 Terry graduated from Steubenville High School and worked at Weirton Steel Co. for 37 years before his retirement as a BOP operator and steel works rigger. Terry had love for traveling, gardening and family and served in the U.S. Navy. He is survived by his wife, Mary Ann Sottile Cook at home; daughter, Tera Jene (Bryan) Casenhiser of Twinsburg, Ohio; two grandchildren Noah Dominic, and Victoria Rose Casenhiser; brother, George “Louie” (Mikilynn) Cook Sr.
Friends may call at the Dunlope-Shorac Funeral Home, 215 Fernwood Road, Wintersville on Saturday from 1 p.m. until the time of Celebration of Life service at 3 p.m. Best man at Terry’s wedding and friend, Robert Bertram officiating. Memorial contributions may be directed to Valley Hospice.